Twilight Princess. As of this writing, the most recent entry in the epic Legend of Zelda series, barring handheld side-games that came out afterward on the Nintendo DS. It had one hell of a build-up, too. The hype over this game was phenomenal. Everyone was waiting for it. Fanboys even cried. It was delayed long enough during development that eventually it came to be released on two different systems, the GameCube for which it was originally developed and the Wii. 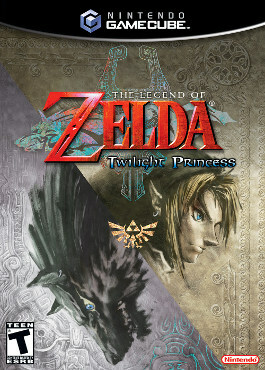 And yet, despite all the anticipation for Twilight Princess, it remains one of the most debated Zelda games. It is not universally regarded as an incredible Zelda game, even though many consider it as such. In fact, there is perhaps more of an even split in opinion of this game than any other game in the series. Majora’s Mask was well received even though some people find it to be an annoying game. Phantom Hourglass is pretty widely hated. But Twilight Princess receives nearly equal praise and criticism, making it something of an odd game in the series. Anyone who’s watched the mailbag or my other Zelda videos has probably gotten a sense that I hate Twilight Princess due to how much I complain about it. To diffuse that, I did a video to talk about the things I liked about the game, and in that and other videos I stated that I really did enjoy it even though I criticize it constantly. So this will be my final word on the game. Though I may discuss it in the future, especially to delve deeper into specific aspects of the game, this review can be considered my ultimate opinion of the game and all of its major parts. Really, the visuals are the single most distinct thing about Twilight Princess. Everyone who looks at the game thinks “Whoa! Realistic Zelda!”. And it KIND OF is. But not quite. When you pay attention to the characters, you can see stylization in their shape and design that defies realism. All of the characters have an anime appearance and design, with exaggerated features, especially the eyes. What the game does have is a solemn, gritty atmosphere. Almost melancholy at times. This sobering tone can be felt throughout virtually the entire game, and it is this that gives the game a sense of realism. The solemnity comes through not only in the music and design, but even in the colors. The game is painted in a dull scheme that reeks of “normal” and “plain”. Depending on your opinion, this could be considered a good thing or a bad thing, but I consider it the latter. Real life is not that dull. Walking in a wilderness, you see all manner of plants and creatures that add color, variety, and life to the scene. This happens in a city as well with paint, signs, and people. No matter where you go in real life this applies. So if Nintendo was attempting to capture realism with Twilight Princess’s style, they failed. However, if they were going not for realism but for an atmosphere to evoke specific emotion or feeling, then they succeeded in doing so. It is however another story if the feeling they were going for is fitting for the game or for Zelda in general. Does that solemn and sad tone fit a fantasy storyline? One where the hero ventures to save the princess from an evil tribe? Not really; in fact, it contradicts it. A fantastical, whimsical storyline is restricted by a prevailing tone of sadness and solemnity. This tone, while not my preferred style, CAN work in a Zelda game, but not one that deals in the standard structure of a hero-saves-princess fairy tale, which is what Zelda is at its base. As such, the tone actually hurt Twilight Princess in a minor way because it too used this base unlike several of the series’ side games, like Majora’s Mask. I also take up issue with the visual style used for the enemies and bosses of the game. Unlike the characters, the enemies are rarely anime-like, and instead take on a gruesome and disturbing tone. This tone is different than the solemn and melancholy one, and also different from that which is natural to the fantasy archetype Twilight Princess uses. The vibe it brings to the table borders on that of the horror genre at times. If the melancholy tone of the locations and characters didn’t fit the fantasy concept of Twilight Princess, then horror definitely doesn’t. Ironically, some of my favorite creature designs come from Twilight Princess, but that doesn’t change the fact that they didn’t mix with the game’s other themes in any elegant way. The state of the game’s audio is vaguely similar. Like with the graphics, the quality is good. The sound effects are flawless, and they fit their characters, creatures, and the world as a whole quite well. The music is where I take up some issue. The music is all good, but it works with the same tone as the visuals. Again, the tone feels weird in combination with the kind of plot archetype we have in Twilight Princess, though it does fit the feeling of the visuals quite well and matches them perfectly. But also like the graphics, the music occasionally takes on a dull and boring flavor, which makes it less impressive and the feeling less pleasant to experience. This dull flavor fails to excite or interest you in your journey, with the exception of a few choice songs, such as the Hyrule Field theme. Now, again, this melancholy tone could be a good thing for some, but I felt it didn’t work well with what this game was and would be better suited to a different sort of tale, one that didn’t have emphasis on the fantasy adventure we’ve seen in many Zelda games. I also take issue with the lack of inventiveness in most of the dungeon and battle themes. Most of the dungeon songs lack energy, and instead end up being slow and brooding themes. I expected and wanted more unique, less atmospheric songs, like those we saw in some of the dungeons of Ocarina of Time or Majora’s Mask. The boss battle music, though there were many different themes, had a similar problem in that the vast majority of them had a slow or heavy feeling to them which made it less exciting to face the game’s many bosses. I think Twilight Princess marks the first time in Zelda history when the lack of voice acting is glaringly strange. Due to the fact that characters gesture and move their mouths, it feels weird that there’s no sound as they speak. Midna speaks in a gibberish language, and it was done well, but it feels like something’s missing much of the rest of the time. 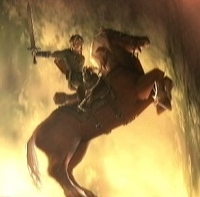 The story of Twilight Princess was not incredibly unique nor told in an incredibly unique way, and in addition, in a way it was both somewhat impressive for the Zelda series and poorly executed at the same time. 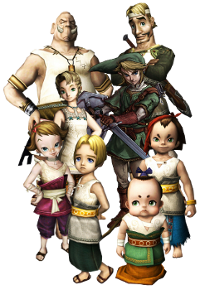 The plot is pretty standard stuff: Link leaves his hometown, Ordon Village, because of a dire event, which in this case would be the Bulblins attacking the village, stealing the children, and covering the woods in Twilight. As Link ventures out into the world he purges it of the Twilight little by little, learning of the Twilight creatures’ plot to take over Hyrule and cover it in shadow. Link works together with the mysterious helper Midna and seeks out the pieces of the Fused Shadow, an object that will supposedly help Link defeat Zant, the man who has orchestrated this entire plot. A standard mid-game plot twist pits you against another set of dungeons, and ultimately to the final confrontation. Despite some neat ideas here and there which I won’t spoil for you, the story of Twilight Princess is unremarkable and even standard for the series. I’d say where it excels above the average Zelda game is in the characters and their development. Link himself is fleshed out more than any other Link from the rest of the series. The Link of The Wind Waker had a family, a friendship with Zelda, and he constantly grew throughout the game. But while we’d see his emotions and interactions with people, his deep connections and love for his people and friends were not shown explicitly like that Link of Twilight Princess. His ties with the people of Ordon Village are made incredibly clear, including Russel and Mayor Bo’s influence on him, and his own influence on the children of Ordon. His character and personality are shown clearly, and his interactions with the various characters of the game are detailed enough that you really know who Link is. This is impressive when you consider that it’s still fairly easy to identify with Link as a proxy for the player in the world due to him matching a certain kind of archetype. The fact that they both show his personality, his deep friendships and potential romantic relationships with Ilia and Midna, AND allow you to feel at least somewhat connected to the world is a feat. The building of Midna’s character is also excellent. She may receive mixed reactions from some gamers due to her rude nature; I myself hated her character outright, growing irritated at her remarks, disregard for others, and harshness. Yet as the story went on, I gradually liked her more and more, and by the midway-point I was fond of her character. Her story and her ties to the villain Zant were also interesting and well-explained. Zant himself was also one of the series’ more interesting villains, and the building up of his presence and backstory was engaging, although for many it was ruined by his final moments at the end of the game. 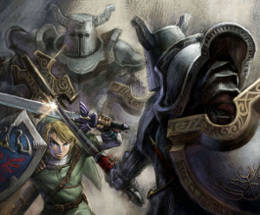 Speaking of the end of the game, one thing I would like to mention though is the inclusion of Ganondorf. Although this was alluded to in the middle of the game, his appearance at the very end seems random. Zant’s character was built and developed as the villain throughout the entire game, and despite his suggestion of having a greater master, when he was suddenly replaced by Ganondorf it didn’t feel right. Ganondorf’s appearance was epic and amazing, probably one of the game’s coolest moments, and yet it was almost completely detached from the story and failed to feel coherent with it. It’s like fighting Ganon in the Oracle games; you finish the main game and then Ganon is tacked on at the end. I have no doubt that Zant was intended to be the main antagonist, but that Ganondorf was added too late in development. And frankly, it hurt the story. The gameplay is where Twilight Princess is the most mixed. There’s a lot of good, and a lot of bad to be had here. 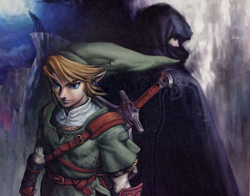 Twilight Princess takes a lot after the Zelda games of old, especially Ocarina of Time. Many ideas are taken straight out of earlier games in the series, which isn’t necessarily a bad thing given that they weren’t bad things to begin with, but Twilight Princess lacks many major innovations even if it does excel in introducing little ideas. 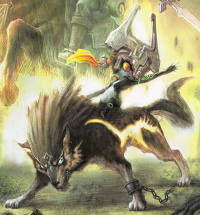 The biggest new thing in Twilight Princess was the wolf form. Wolf Link can run faster, attack quicker, and can sniff out and dig up things that normal Link can’t. This dynamic of playing as an animal was interesting, and helped add a lot of freshness to the gameplay. There were a lot of problems with these portions of the game though. 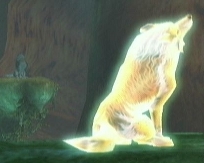 In the first half of the game, you are only given use of Wolf Link in order to travel through the Twilight areas and restore light to the area. This involves first exploring new regions in the reddish-colored and creepy Twilight Realm. All the people who lived in the area are ghosts and cannot see you, so your interactions are limited to the terrain and the enemies. Most of the enemies are standard and unimpressive, with the exception of the Shadow Insects which you’re supposed to be seeking out. It can take a while to find them all and is very painstaking at times. Once you’ve found all of them and restored the area, you now have to re-explore it as Link. There are a lot of problems with this. For one, the presentation of the area is less impressive as you first enter and experience it in the dull and unusual Twilight Realm. Once you visit it in the normal world, the area is much more interesting, yet you’ve already seen it. Furthermore, once you’ve cleared the area of Twilight you must still go through an entire mini-quest to advance to the next portion of the game. Combine that with the time spent hunting Shadow Insects, and you’ve essentially doubled the standard time it takes to find a way inside the next dungeon in a Zelda game. This can get pretty irritating. These Twilight portions were at least interesting, if riddled with the aforementioned problems, but even the way they’re USED is awkward. During the first half they’re a major part of the game. Every new region is another Twilight area, so you’re used to delving into these sections of the game. You’re especially used to them once they stop happening altogether. After the first three dungeons, there is no more Twilight at all. You ARE granted free use of Wolf Link anywhere in the game at this point, but it’s very different from the bug-hunting of the Twilight portions, meaning a now-familiar aspect of the game is gone entirely. Hunting for the Shadow Insects could get tedious, but it could be enjoyable in a certain kind of way at least for some people. But either way, it’s awkward and uneven for this part of the game to be so prominent and then omitted entirely. There are many other minor annoyances like those. Every time you load your save file and collect a rupee bigger than the small green ones, you have to go through a dialogue like it’s the first time you collected it. Given the constant reloading, this becomes a big pain, enough so that it made me not want to collect rupees sometimes. The battles can be interesting, but the game is way too easy. Enemies do hardly any damage and the bosses are simple and easy to figure out. This is fine in the case of a game intended strictly for casual players, but with its gritty feel and the way it’s designed, Twilight Princess doesn’t feel like that kind of game at all. It gets worse when when you come to the disturbing fact that 90% of the time, the bosses are the easiest challenge you will face in the game. It’s embarassing to fight against hordes of monsters, and then when a big, “extra tough” monster appears it’s the easiest of them all. Furthermore, the game is incredibly linear. For an adventure game, you spend very little time exploring and searching for items and treasure. The amount of secrets and sidequests available to you is very, very small initially, and only grows in increments with each dungeon completed, effectively only allowing you small bits of side-content between areas of the main game and turning everything into a point A to point B affair. The gameplay does have a lot of good things though. The basic control and movements are great and there’s lots of awesome little ideas sprinkled throughout, such as using the lantern to get through dark areas, the unique weapons and items, the optional and lengthy Lantern Caves, innovations in dungeon design, and sidequests like collecting the Golden Bugs or Poe Souls. Yet many of these same innovations have their own faults. Most of the cool weapons found early in the game are barely needed later in, and most of those found towards the end of the game have very little use outside of combat, during which some of them are even completely useless. The dark areas that the lantern are used in can still be navigated without it as well. Twilight Princess IS a good game. It’s even a great game. It’s fun to play and it’s a bit different. That’s not necessarily bad, even if there may be ways the differences were implemented poorly. I might not prefer some of the aspects of its tone and gameplay, but that doesn’t necessarily make them bad entirely, certainly not for one game in the series. They’re not things I want to see become the series’ standard, but every once and a while I don’t mind seeing them. Despite its flaws, the gameplay was good. It’s playable and even fun. I would recommend Twilight Princess to just about anyone, just as long as they recognize that it has more flaws than your average Zelda game. If it had been allowed more time and polish, it could very possibly have been one of the best games in the series. 7.5/10 as a Zelda game. 9/10 as a video game.